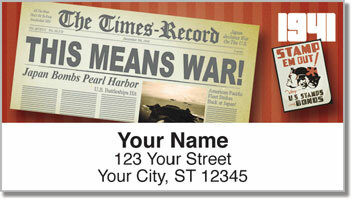 Stick some nostalgia on your outgoing mail and remember a decade that brough change to America and the world. In the 1940s, the United States helped end World War II and it was country would head into more prosperous times. The Great Depression was over and the Baby Boom was beginning. Americans were going to the movies to see stars like Humphrey Bogart and a young beauty named Norma Jean Mortenson was on her way to becoming Marylin Monroe. Jackie Robinson was breaking down barriers in the game of baseball, and the swinging sound of jazz music could be heard everywhere you went. 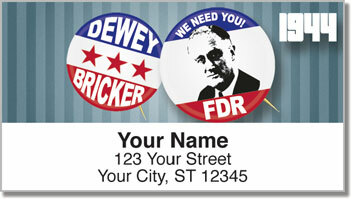 These self-adhesive address labels are a little piece of Americana. They celebrate where we've been and how far we've come. 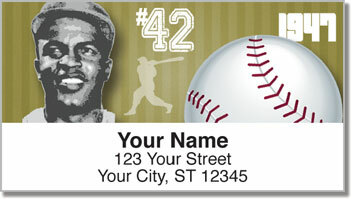 Stick them on all your letters and packages for an easy finishing touch that adds character to every envelope. 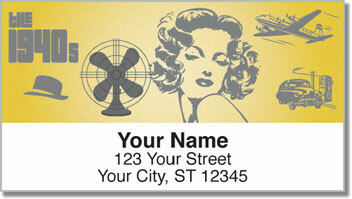 Order your own The 1940s Address Labels today! Get them with a set of matching checks.